Artificial intelligence (AI) has been used for more than two decades as a development tool for solutions in several areas of the E&P industry: virtual sensing, production control and optimization, forecasting, and simulation, among many others. Nevertheless, AI applications have not been consolidated as standard solutions in the industry, and most common applications of AI still are case studies and pilot projects. He worked as Production Engineering Senior Advisor at Hess Corporation (2009-2012), Halliburton (2003-2009) where he acted as technical lead of various major projects such as Petrobras’ Barracuda-Caratinga fields Real Time Operations project (2005-2006), PDVSA integrated modeling and field exploitation plans for Carito and Orocual fields (2006-2007). Dr. Saputelli later acted as Production Operations Regional Practice Manager and Field Development Global Practice Manager for Halliburton; also worked in PDVSA E&P (1990-2001) and acted as a well planning senior advisor, production technologist, reservoir modeling and simulation engineer. He has worked in various countries: Venezuela, Argentina, Brazil, Colombia, Saudi Arabia, Kuwait, Arab Emirates, Nigeria, Thailand, Malaysia, Indonesia, England, Scotland and USA. He is an industry recognized researcher, lecturer, SPE Liaison and member of various committees. He has published over 50 industry papers and has three patents on applied technologies for reservoir management, real time optimization and production operations. He is currently President of Frontender Corporation and engaged in various Digital Oilfield implementations. • Weather the reputation of oil and gas being a slow technology adopter warranted or are there new ways in which oil and gas is adopting new technologies? • What are the approaches that work to bring forth a new technology in a large oil operator? How to convince the assets to try new things? • How does a major service company like Schlumberger deal with deploying and commercializing new technology? • What role do private equity and venture capital players play in this large technology landscape? • What are the technical challenges currently at the fore front of the R&D world. What disruptive technologies can we expect to be commercialized in the next 5 years. Ashok Belani is executive vice president Technology, a position he assumed in August 2011. Based in Paris and Houston, Belani leads the Schlumberger engineering, manufacturing and sustaining organization in addition to supervising the company's research activities. Prior to this appointment Belani served as president, Reservoir Characterization and earlier as chief technology officer. Belani joined Schlumberger as a field engineer in 1980 and worked for 10 years in different field positions in operations, sales, and management. He then transferred to product development and held positions in engineering, marketing and technique, and technology management. He served as vice president of Marketing and Product Development for Wireline and later as vice president of Marketing and Product Development for Oilfield Services. He moved to Test and Transactions in 1999 and served as president of Semiconductor Solutions. He later held the position of CIO of Schlumberger Limited. From 2003 to 2005, Belani led the effort to divest the semiconductor equipment business from Schlumberger, listed the subsequent company on the Nasdaq stock exchange and then merged it with Credence Systems. Belani studied electrical engineering in India and holds a master's degree in petroleum engineering from Stanford University. He currently serves on the Advisory Board for the School of Earth Sciences at Stanford University, and Institute Physique du Globe, Paris. Russ Capper has led multiple technology companies from concept formation to execution, expansion and exit. After a 12 year stint with IBM in the 80’s and equity stakes and leadership positions at Techtron Inc. and Document Services Inc, both of which he sold, Russ founded eRealty.com which became the country’s first online brokerage displaying full MLS data online. Prudential acquired eRealty in 2004. In 2005 he launched The BusinessMakers Show, a web-based video production and radio show that showcases entrepreneurs and in 2011 he founded and launched The EnergyMakers Show which features energy industry innovators and policy-makers. Einar Gamman, partner in the U.S. office of Energy Ventures, has more than 27 years of experience in the worldwide oil and gas industry. In addition to his role at Energy Ventures, Gamman serves on the board of directors of three Energy Ventures investments: Produced Water Absorbents (PWA), Halfwave AS and Reality Mobile. He is also an observer on the board of directors of Cubility AS, Oxane Materials and OsComp Systems. In addition, Gamman oversees Energy Ventures’ Technology Advisory Board program. Prior to his current position with Energy Ventures, Gamman served as the former co-funder and partner of Partout AS (later Procom Venture AS) and as a former Deputy Managing Director for Smedvig Offshore AS. He holds an MBA from INSEAD in France, and a M.Sc. in Naval Architecture and Marine Engineering from the Norwegian University of Science and Technology (NTH/NTNU), Trondheim. Ram Shenoy is the chief technology officer for ConocoPhillips. An electrical engineer by training, he has twenty years of oil and gas industry experience. Before taking on his current role at ConocoPhillips, Shenoy was vice president of research for Schlumberger Limited, responsible for all Schlumberger’s corporate scientific research laboratories. In prior years, he held a series of marketing and technology management positions with increasing responsibility, including managing director of Schlumberger-Doll Research Boston, and director and technology center manager of Schlumberger K.K. overseeing all the Engineering, Manufacturing and Sustaining activities of Schlumberger’s R&D center in Tokyo, Japan. He is a member of the U.S. Secretary of Energy Advisory Board, the Energy Ventures Technology Advisory Board, the Terratek Technology Advisory Board and the Tufts Gordon Institute’s Industrial Advisory Board. He is also a member of the Institute of Electrical and Electronic Engineers, the Society for Industrial and Applied Mathematics and the Society of Petroleum Engineers. Shenoy earned a B. A. and M.A. in Electrical Sciences from Cambridge University UK in 1986, a Ph. D. in Electrical Engineering from Cornell University, NY in 1991 and an MBA from the Stern School of Business, New York University in 2000. This webinar discusses strategies for completing unconventional wells that require multistage hydraulic fracturing. 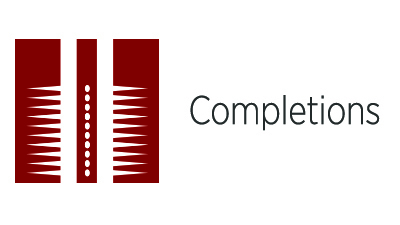 This webinar defines completions as both the wellbore completion and the hydraulic fracturing. Participants will learn the different types of wellbore completion options as well as the hydraulic fracturing options and how they compare in different applications. This will include plug-and-perf, ball-activated systems, coiled tubing-activated systems, fracturing fluids, proppants, additives, and general fracturing theory and design. Aaron Burton is the business development manager for Unconventional Completions, a group primarily focused on the completion of shales and similar unconventional plays that require multistage hydraulic fracturing. Burton joined Baker Hughes as a field engineer trainee for completion tools after graduation. During his tenure in operations, he has held the roles of field engineer, operations coordinator, and district engineer. He has completed wells in several unconventional plays in North America, including the Bakken, Marcellus, and the Lower Huron. Sergey Kotov is the manager of the simulation, unconventional resources team, global marketing at Baker Hughes. He has over 17 years’ experience in stimulation of oil and gas reservoirs. He started with Canadian Fracmaster Company as a well stimulation department interpreter in 1995. After the acquisition of the company by BJ Services in 1999, he developed his career as a filed stimulation/cementing engineer. He designed and implemented hydraulic fracture treatments in all major oil and gas fields in Russia from the South of the Arctic Circle. As an application engineer of BJ Services Technology Research Center, he participated in the development and optimization of new stimulation technologies and implemented field trials in the US. He also provided technology transfer both domestically and internationally. As a senior stimulation specialist, Kotov provided engineering support to BJ Services operations in North Africa (fracturing, acidizing, water control, and etc.). He developed the stimulation strategy for several fields in Algeria and Libya. Kotov holds a M.S. in petroleum engineering from North Caucasus State Technical University in Stavropol, Russia; and a M.A in linguistics from State Linguistic University, Pyatigorsk, Russia. • Current status of the international negotiations to complete, by 2015, a successor agreement to the Kyoto Protocol that would take effect in 2020. • Lessons learned to date from the U.S. Environmental Protection Agency's (EPA) implementation of Clean Air Act Prevention of Significant Deterioration (PSD) and Title V permitting for oil & gas operations and facilities. • What EPA's August 2013 re-proposed GHG New Source Performance Standards (NSPS) for New Electric Generating Units mean for combined-cycle natural gas (CCNG) power plants. Will CCNG be required to deploy CO2 capture technology, too? Kipp Coddington is a founding partner of and heads the Washington, D.C. office for Kazmarek Mowrey Cloud Laseter LLP, a boutique law firm that specializes in energy and environmental law. Mr. Coddington’s commercial, regulatory and policy practice focuses on the Clean Air Act, carbon management, and fossil fuel production and usage. Mr. Coddington is a carbon capture & storage (CCS) and carbon dioxide-enhanced oil recovery (CO2-EOR) expert. He led the formation of and is currently counsel to the North American Carbon Capture & Storage Association. In April 2007, he testified before the U.S. Senate Committee on Energy and Natural Resources on CCS stewardship issues. He served on the State of California’s Blue Ribbon CCS Review Panel and serves on the Geological CO2 Sequestration Task Force of the Interstate Oil & Gas Compact Commission. He is a member of the newly formed U.S. Technical Advisory Group that is advising the American National Standards Institute in the development of a new international standard for CCS under an ISO process known as TC 265. 1- The Double Displacement and the Second Contact Water Displacement Processes that aim to improve oil recovery through gas injection in low-pressure light oil reservoirs. 2- Co-production, the simultaneous production of gas and water, is used to control water influx into water-drive gas reservoirs. The process involves the conversion of down-dip wells to water producers as they water out delaying the watering out of up-dip wells and reducing the reservoir pressure so more gas can expand and be produced. 3- Water flooding of low-pressure gas reservoirs presents a viable alternative to compression. After more than thirty years of service, Dr. Zaki Bassiouni retired from the faculty of Louisiana State University in 2008. He was a professor and chair of the Craft and Hawkins Department of Petroleum Engineering from July 1983 to June 2004 before assuming the position of Dean of the College of Engineering until his retirement. Dr. Bassiouni received a B.S. in Petroleum Engineering from Cairo University, a diploma in Geophysics from the Ecole Nationale Superieure de Petrole et des Moteurs of Paris, France, and an M.S. (DEA) and Ph.D. (Docteur Es Sciences) from the University of Lille, France. In addition to his academic contributions and publications, Dr. Bassiouni has provided technical expertise to the international oil and gas industries. He has conducted training in more than thirty countries worldwide. He is the author of the Society of Petroleum Engineers Textbook Series Vol. 4 "Theory, Measurement, and Interpretation of Well Logs." Dr. Bassiouni is a member of the national honorary society Pi Epsilon Tau, the Society of Petroleum Engineers (SPE) and the Society of Professional Petrophysicists and Well Log Analysts (SPWLA). He currently served on the Education and Accreditation Commission (EAC) of the Accreditation Board of Engineering and Technology (ABET) fro 1999 to 2004. Dr. Bassiouni is the recipient of SPE Distinguished Achievement Award for Petroleum Engineering Faculty for 1995. He is also the recipient of the Louisiana Engineering Foundation Faculty Professionalism Award for 2000. He is an SPE Distinguished Lecturer for the 2004-2005 & 2008-09 seasons. Dr. Bassiouni was selected as the 2006 recipient of the SPE Formation Evaluation Award. He is also the recipient of Louisiana Engineering Society’s 2008 Technological Accomplishment Award. For the aforementioned services and activities Dr. Bassiouni was inducted in 2012 into LSU College of Engineering Hall of Distinction, the highest honor bestowed by the College. The discussion will address differences in flow back and produced water quality and compare with requirements for hydraulic fracturing formulations. Various recycling methods will be discussed to achieve specifications for reuse in a given type of hydraulic fracturing fluids, such as slickwater, linear gel and cross-linked gel formulations. Recycling methods addressed will range from chemical coagulation and flocculation, lime softening and various mechanical methods such as dissolved gas flotation, hydrocyclones, to media and membrane filtration systems. Dr. Tor Palmgren manages the Exploratory and Special Projects group of M-I SWACO’s Research & Engineering Environmental Solutions Applied Research department and has been involved with water related projects most of the five years since joining M-I SWACO in 2008. The emphasis has been on mobile treatment systems servicing unconventional drilling and hydraulic fracturing operations. Prior to joining M-I SWACO, a Schlumberger Company, Dr. Palmgren spent about 20 years in the plastics industry in various positions, from R&D, Technical Service and Management of Product Regulatory Compliance. This webinar will address Communication & Disclosure on Sustainability Performance - moderated by the SPE DL Charlie Curlee and expert in sustainability reporting and presented by Brian Sullivan, Executive Director, IPIECA and Elizabeth Cheney, VP Corporate EHS & SR, Hess. Libby Cheney is Vice President of Corporate Environment, Health, Safety and Social Responsibility for Hess Corporation, a global, integrated energy company based in New York City and Houston. Cheney has more than 30 years of leadership experience in sustainability, EHS, strategic planning, operations, engineering and project development. She joined Hess in March 2012 from Shell where she spent five years, most recently as Vice President of Safety, Environment, and Sustainable Development for exploration, development and production assets in the Americas. Prior to Shell, Cheney was with ExxonMobil for 24 years where she served in technical and operational roles. Cheney hold’s a bachelor's degree in Chemical Engineering from Vanderbilt University. She is active in many civic and professional organizations, including the Offshore Energy Center in Houston, the Society of Petroleum Engineers and the United Way of Greater Houston. Charlie Curlee worked for over 30 years with Marathon Oil Company, holding Health, Environmental, and Safety (HES) management positions for upstream business units in several U.S. locations. He held successive positions at the corporate level as the company’s International HES Manager, Safety Manager and Senior HES Advisor, where he worked on a broad range of emerging HES-related issues. In 2006, he helped establish a new Corporate Social Responsibility (CSR) function within Marathon to focus on sustainability, stakeholder engagement, community programs and social risk assessment processes. Throughout his career, Mr. Curlee has actively participated in trade associations and professional organizations as important resources for sharing best practices to successfully address environmental stewardship, occupational health & safety, and sustainable development challenges. He served as Chair of the IPIECA / API / OGP Reporting Task Force (RTF) for four years, culminating in the December 2010 release of the Second Edition of the "Oil and gas industry guidance on voluntary sustainability reporting". With SPE, Charlie functioned as the Safety Program Subcommittee Chair for the 2004 International Health, Safety and Environment Conference in Calgary, Canada and has spoken at several SPE workshops and conferences. 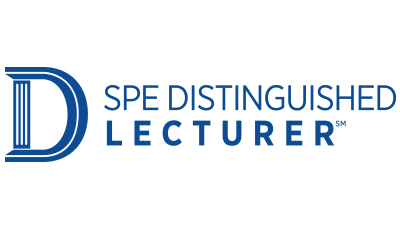 He is a SPE Distinguished Lecturer for the upcoming 2013-2014 DL Tour, speaking on sustainability and sustainability reporting in the oil and gas industry. Over the course of 23 years, his career included assignments in London, Copenhagen, Budapest, Athens and Johannesburg, and business experience in over 60 countries. During his time with BP he has had a varied career of technical, commercial, financial and leadership roles across the downstream value chain including crude and products trading, marine fuels, lubricants and alternative energy. The inlet conditions of the fluids entering a separation vessel have a significant impact on the performance of the separator. In this webinar we consider the dynamics of a stratified/stratifying gas-liquid flow in horizontal tubes. Prof. O. K. Matar (OKM) is an Exxon-Mobil Fellow and Professor of Fluid Mechanics in the Department of Chemical Engineering, Imperial College London. OKM’s current research interests are in the area of multiphase flows with applications in oil-and-gas flow-assurance, crude-oil processing, enhanced oil recovery, process intensification, coating flow technology, and manufacturing. OKM has recently been invited to review the field of thin films in Rev. Mod. Phys. (impact factor 51). OKM is the current coordinator of the Fluid Mechanics Focus Area at Imperial and has received £11M funding (£8M as Principal Investigator) from the Engineering and Physical Sciences Research Council, UK. OKM is the director of the Transient Multiphase Flow consortium, which comprises a number of oil-and-gas operators (inc. BP, Chevron, Petrobras, Statoil, TOTAL), design- and software-houses. The research council and industrial funding has been used to study phase inversion in concentrated emulsions, flows over rapidly rotating discs (reactors), nonlinear bubble sound interactions, fouling in heat exchangers in crude oil distillation units, dynamics of liquids spreading on compliant substrates, multiphase flow in large-diameter pipes, advanced experimental and numerical methods for the prediction of complex vapour liquid annular flows, and interfacial behaviour in stratified and stratifying annular flows. OKM is also the director of the EPSRC Programme Grant (£5M), MEMPHIS, to produce the next-generation predictive tools for multiphase flows. OKM has co-authored 130 articles in prestigious journals and has an h-index of 26. He is the Editor-in-Chief of Multiphase Science and Technology, an Associate Executive Editor of Journal of Engineering Mathematics, and on the Editorial Board of International Journal of Multiphase Flow. For this special SPE Webinar event, three industry-leading experts will be presenting the need for and the application of new and emerging technologies for the economic and environmentally-compatible development of shale. Mr. Holditch, SPE, retired from the Harold Vance Department of Petroleum Engineering at Texas A&M University in January 2013, and is currently a Professor Emeritus. Holditch led the department from January 2004 to January 2012. Holditch served as SPE president during 2002 and is an Honorary Member and Distinguished Member of SPE. He has earned numerous SPE awards, including the Anthony B. Lucas Award, Lester C. Uren Award, and Distinguished Service Award for Petroleum Engineering Faculty. He earned BS, MS, and PhD degrees in petroleum engineering from Texas A&M. Mr. Moridis has been a Staff Scientist in the Earth Sciences Division of LBNL since 1991, where he is the Deputy Program Lead for Energy Resources. He is in charge of the LBNL research programs on hydrates and tight/shale gas, and leads the development of the new generation of LBNL simulation codes. Moridis is a visiting professor in the Petroleum Engineering Dept. at Texas A&M University, and in the Guangzhou Center for Gas Hydrate Research of the Chinese Academy of Sciences; he is also an adjunct professor in the Chemical Engineering Dept. at the Colorado School of Mines, and in the Petroleum and Natural Gas Engineering Dept. of the Middle East Technical University, Ankara, Turkey. He holds MS and PhD degrees from Texas A&M University and BS and ME degrees in chemical engineering from the National Technical University of Athens, Greece. Moridis is the author or coauthor of over 70 papers in peer-reviewed journals, more than 180 LBNL reports, paper presentations and book articles, and three patents. He was a SPE (Society of Petroleum Engineers) Distinguished Lecturer for 2009–10, and was elected a SPE Distinguished Member in 2010. He is the recipient of a 2011 Secretarial Honor Award of the U.S. Department of Energy. He is on the editorial board of three journals, an Associate Editor of four scientific journals, and a reviewer for 26 scientific publications. Mr. King is a 47-year veteran of oil and gas research and operations and is Apache Corporation’s Distinguished Engineering Advisor. He is a registered professional engineer and is currently involved in multiple areas of new technologies in the areas of surface modification chemistry, shale fracturing, artificial lift and completions. King holds BS degrees in Chemistry, Chemical Engineering and a Masters in Petroleum Engineering. He is a 37-year member of SPE, and also has membership in AAPG and NACE. He has authored over 65 papers and has received the 2004 SPE Production Operations Award and the 2012 Engineer of the year award from the Houston region of the Society of Professional Engineers. He has been a SPE Distinguished Lecturer, on the SPE Distinguished Lecturer Committee from 2003-09 and is a SPE Continuing Education Teacher in shale technology.